[Caroli] (1, 2) Caroli et al. 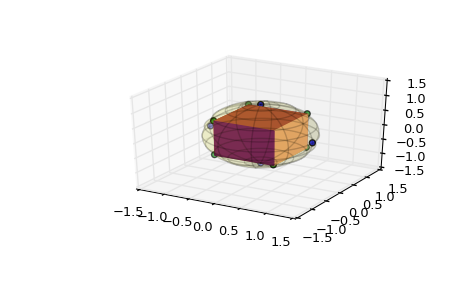 Robust and Efficient Delaunay triangulations of points on or close to a sphere. Research Report RR-7004, 2009.
sort_vertices_of_regions() For each region in regions, it sorts the indices of the Voronoi vertices such that the resulting points are in a clockwise or counterclockwise order around the generator point.